Obviously, if your small business is booming, there’s one massive monster in the distance that can get it all crashing down: poor organization, particularly in regards to finances. By finances, of course, I mean the management of invoices and payments. Lord, if we were all accountants! But we’re not, alas. And as a small business, we cherish our auto attendants and call centers with a passion; but we may not have it in our finances to hire the best accountant in the universe to handle all of our billing needs. Fear not, friends. 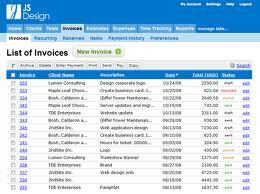 For FreshBooks, a star app from the Google Apps Marketplace, is here to solve all those problems. Brace yourself on this one: because it’s actually damn hard finding any fault with this app. It’s clearly a primo service, at the top of its game, and completely professional. With handy Gmail integration, users can handle their invoicing right online through the Google account without having to deal with Microsoft Word or Excel. Logging project hours is a snap. The great thing about FreshBooks is the ease of use: there’s no need to retype anything. All client information is saved for you. All updates are automatic. Totals are added up instantly. In addition, payment is a breeze as clients are offered several possibilities: PayPal, VISA, Mastercard, AMEX, Google Checkout. Just to name a few. In seconds, you can receive your payments without the hassle of mailed-in checks or money orders. And for those clients that get lazy, the app even has an automatic late payment reminder feature. We all talk on this blog about the benefit of utilizing an app that is generally free, but the fact is this: in the long run, FreshBooks is not. Depending on how small your business is, you actually can utilize the app for free — for three clients. Now that would have to be a pretty small business, really. And the slight problem with that is the fact that with every successful small company, there’s always going to be some kind of growth. Once you’re past three clients on your FreshBooks, the pay for individual accounts is $19.95/month to keep the app. It’s not terrible, but it can put a damper on a small business’s finances. To make it even worse, if your company gets so successful that you’re actually in need of hiring more, it would be necessary to establish a team account under FreshBooks. 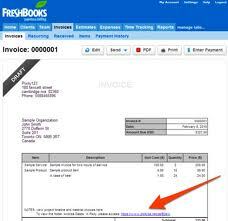 Big bummer — team accounts for FreshBooks cost $39.95/month! Yowza. We understand the ideal, though. As the company gets more successful and bigger in general, so will the cost of the app. I get it. But there’s a transition there that may make it hard for a small company to survive financially, treading the line with having only four clients and having to shell out 20 bucks a month — it can add up pretty fast. Just another expense to tally up. Look, enough with the devil’s advocate. Yes, it can be costly. And quite frankly, FreshBooks might not be right for you. But know this: handling your invoices and payments can be a pain. And it may be worth the money to save on the headaches. Your time is money. Your health is money. And headaches can be disastrous to your health. But it all depends on you, how difficult your logistics are. Consider your options. 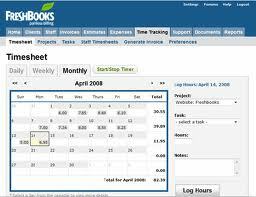 Then maybe you can have a fresh look on your business, and possibly a fresh look toward getting into the FreshBooks! This entry was posted in Small Business by Pierre. Bookmark the permalink.